*A BookMovement Group Read***A People Pick for Best New Books** Yara Zgheib's poetic and poignant debut novel is a haunting portrait of a young woman's struggle with anorexia on an intimate journey to reclaim her life. The chocolate went first, then the cheese, the fries, the ice cream. The bread was more difficult, but if she could just lose a little more weight, perhaps she would make the soloists' list. Perhaps if she were lighter, danced better, tried harder, she would be good enough. Perhaps if she just ran for one more mile, lost just one more pound.Anna Roux was a professional dancer who followed the man of her dreams from Paris to Missouri. There, alone with her biggest fears - imperfection, failure, loneliness - she spirals down anorexia and depression till she weighs a mere eighty-eight pounds. Forced to seek treatment, she is admitted as a patient at 17 Swann Street, a peach pink house where pale, fragile women with life-threatening eating disorders live. Women like Emm, the veteran; quiet Valerie; Julia, always hungry. Together, they must fight their diseases and face six meals a day.Every bite causes anxiety. Every flavor induces guilt. 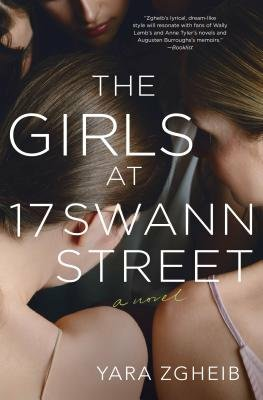 And every step Anna takes toward recovery will require strength, endurance, and the support of the girls at 17 Swann Street. The chapters set in Swann Street are written in the first person, in tight, understated prose that conjures Anna's utter exhaustion.... The passages about her life with Matthias are written in the third person, in lush, descriptive sentences.... Anna's illness may not be unique, but her story is a singular celebration of the lifesaving power of community and small gestures. Zgheib writes with a compassion and an intensity that may scare away some readers, but I believe that her brilliance and authenticity make this book a must-read. [She] shows us how easy it can be for these disorders to sneak by for many years, only being diagnosed when they become nearly fatal, and how much each disorder takes from its victims and their loved ones. This is not a happy story, but it is a hopeful one, and perhaps the perfect book for anyone feeling alone, depressed or like they have truly lost control.